Yo! MTG Taps! Episode 10 – My Lime Pink Shirt is now available for download! Click here for a price guide list to take with you to your pre-release. Sick of cascade ruining your tournament experience? Sign the petition to ban Bloodbraid Elf here! CONTEST: Submit a rap verse for our theme song (about 28 minutes in). The winner gets their verse used in our theme song! (and something else if we can come up with something cool). Submit entries to yomtgtaps [at] gmail [dot] com Please don’t send recordings. Check out Good Games Live on YouTube! Yo! MTG Taps! Episode 9 – Now Available! Yo! MTG Taps! Episode 9 – Ramping Up to Bestial Menace is now available for download! A seven-parter! In this episode, we go over lots of different topics, most of which are in Section A. The other sections are each broken down by color as we discuss everything that had been spoiled at the time of the recording. (Monday, January 18th). Our friend Tim joins us on a rare weekday off for him. This one is a little epic. The Worldwake Product section is now available, including the Orb of Insight. For Mike Flores’ Grand Unifying Theory of Magic, check out VICTORY BACON! Firstly, don’t be surprised if you see these same spoilers on other sites this morning. A group of MTG writers/bloggers were all given the same cards to spoil, so it’s likely the internet will get a barrage of posts at 12:01am EST on Friday 1/15 (which happens to be exactly the time this post will be going up). Dread Statuary – not terribly exciting for Constructed play (I think most decks would play Gargoyle Castle instead), but in Limited it can be a pretty solid way to break a stalemate after you’re both done running your creatures into each other. Join the Ranks – anyone else remember Raise the Alarm? 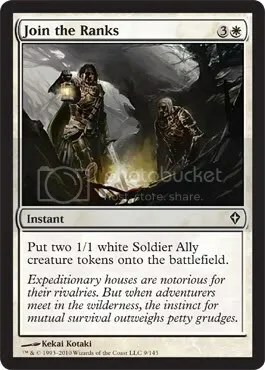 This costs twice as much, but in return you get two Allies, which can be relevant in an Ally-themed deck. 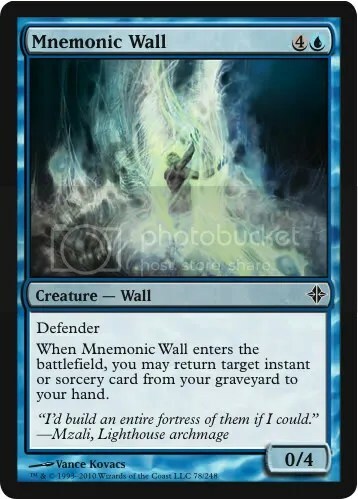 Again, this will likely have more of an effect in Limited, unless Worldwake pushes a Constructed-worthy Ally deck into the fray. 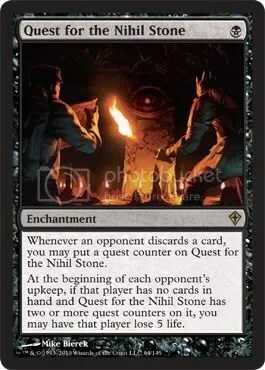 Quest for the Nihil Stone – Bloodchief Ascension‘s fraternal twin, this looks like a Johnny card if there ever was one. Obviously, this really only works with a discard strategy, but there seems to be plenty of options for anyone interested in pursing that route. Then again, it only takes one Blightning to get it online, so it might work well against aggro decks that tend to empty their hand quickly. 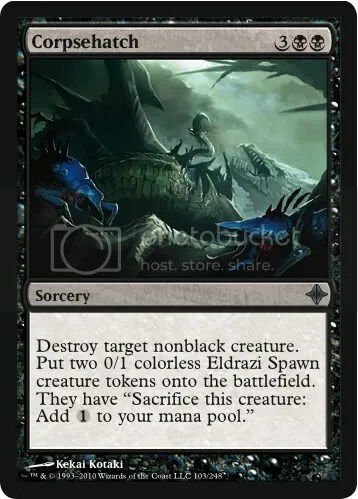 Wind Zendikon – There’s a whole cycle of these, but I’m going to go ahead and put it out there that this will be the most playable (of course, barring something in WWK that contradicts me). 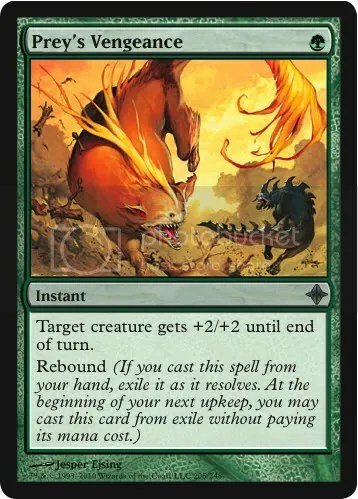 It’s essentially a 2/2 flyer for U—already a good deal, but if you play it on a fetchland, you can use the creature as a chump blocker, crack the fetch, and get the fetch back to reuse. Alongside landfall, there’s a good deal of synergy to exploit there. Perhaps not as exciting, these Zendikons will also allow you to reuse Gargoyle Castle. Canopy Cover – This one’s quite a bit more exciting than I realized at first glance, as it has built-in protection from the Achilles’ Heel of auras, the dreaded two-for-one. By giving your creature Shroud (or Troll-Shroud, as some refer to it), you no longer have to worry about losing two cards to a spot removal spell. In fact, unless they’ve got an eligible blocker that can take down your threat, nothing short of mass removal or enchantment-hate will be able to get rid of it. Can you imagine this on a Baneslayer Angel? (Win more, please!) Still, I don’t see it showing up much in Constructed, despite its strengths. It’s a good one for Limited, though. I’ve got to be honest, here. So far, with the exception of Jace, the Mind Sculptor (which I’m extremely excited about), Celestial Colonnade (YES!) 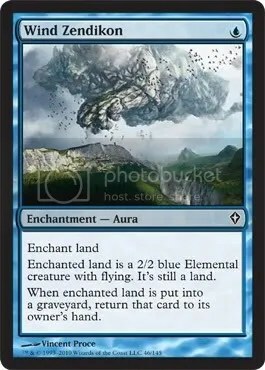 and Comet Storm (which is a solid utility spell/finisher), what we’ve seen so far from Worldwake has been a bit underwhelming in my opinion. 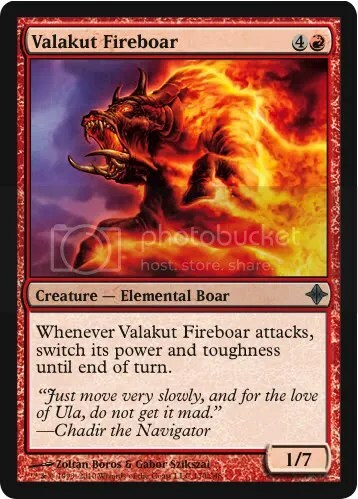 However, if you feel the same way, keep in mind that most of what we’ve seen (aside from the aforementioned cards) have been commons and uncommons. 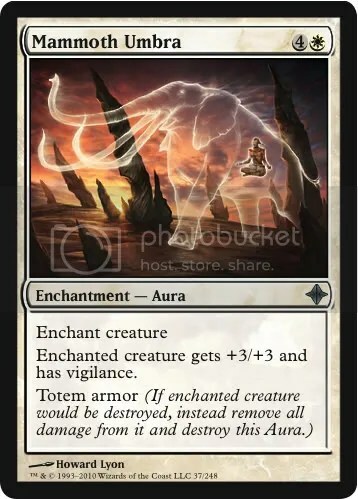 These tend to be the least exciting cards of a set, in most cases, so I fully expect to be pleasantly surprised with some of the spoilers we’ll be seeing in the next two weeks. In addition, word from Evan Erwin (The Magic Show) and Trick Jarrett (ManaNation)—both of whom received exclusive spoilers, so yes, they know something that we don’t—is that Worldwake is definitely worth pre-ordering. If supplies are anywhere near as limited as M10 and Zendikar were, I recommend getting those pre-orders in as early as possible if you want to avoid being left out in the cold. Be sure to keep an eye on Wizards’ official Worldwake Visual Spoiler for updates! Yo! MTG Taps! Episode 8 – Now Available! Yo! MTG Taps! Episode 8 – Comment Storm is now available for download! We discuss the spoiled Worldwake prerelease foil Comet Storm! Should it be mythic? Also, we recommend a few non-storyline related MTG books to spend your Christmas money on! **Be sure to check out Bigheadjoe’s addendum to this episode on his blog. Get My Files by Zvi Mowshowitz and Deckade by Michael Flores over at Top8Games! Download Next Level Magic by Patrick Chapin over at StarCityGames! **NEW! Become a fan of Yo! MTG Taps! on Facebook! **Check out Yo! MTG Taps! on YouTube! See what we gave our friend Tim for Christmas. More videos to come.